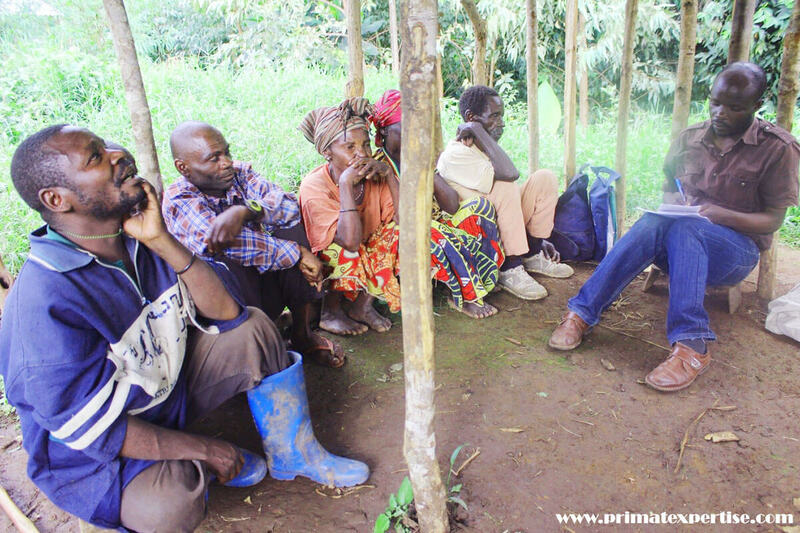 Primate Expertise (PEx) is working with the community surrounding Kahuzi-Biega National Park to ensure that all development initiatives are in harmony with sustainable conservation of Grauer’s gorilla and the other non-human primates inhabiting the natural habitat of park. 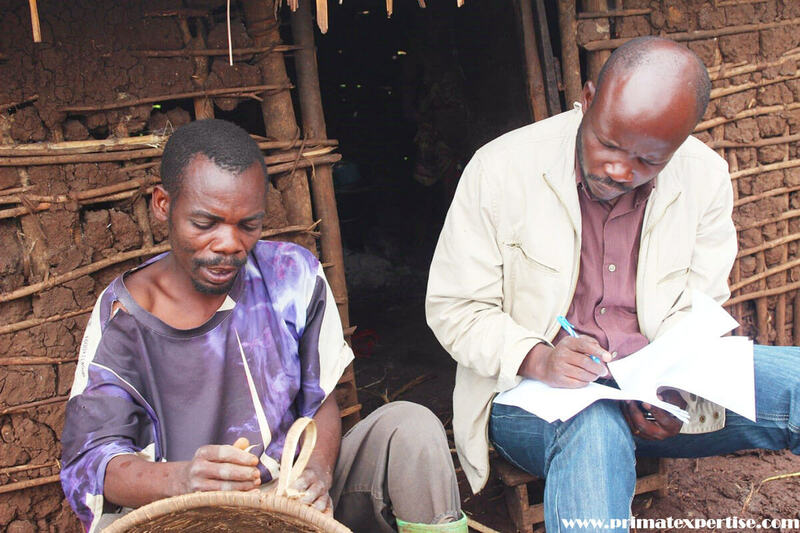 Indigenous Batwa are among the marginalized minority ethnic groups living in the vicinity of Kahuzi-Biega relying on the park’s resources their livelihood. To assess their real needs, PEx is conducting a socio-economic survey to identify their attitude and behavior subject to influence Grauer’s gorilla conservation and their natural habitat. 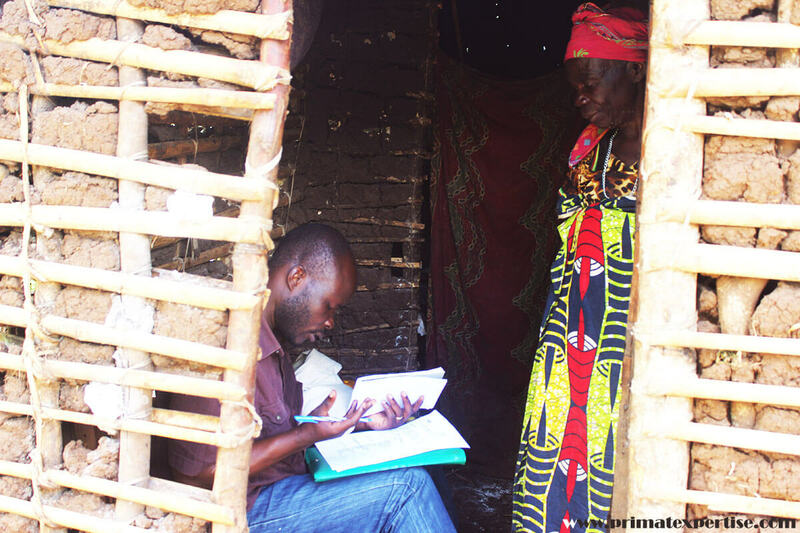 The survey questionnaire was widely used to collect data from 105 proportionately distributed households within four different pygmy villages. We express our sincere gratitude to Wild Earth Allies that funded the study. 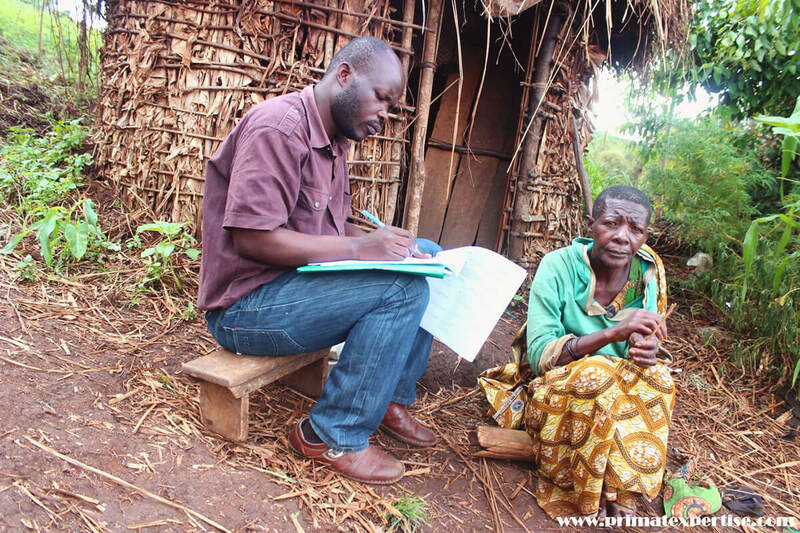 Mrs. Biralo M’Bidiku, a pygmy resident of Bulolo-Tshibati village in front of her hut, interviewed by Augustin Ntaboba. 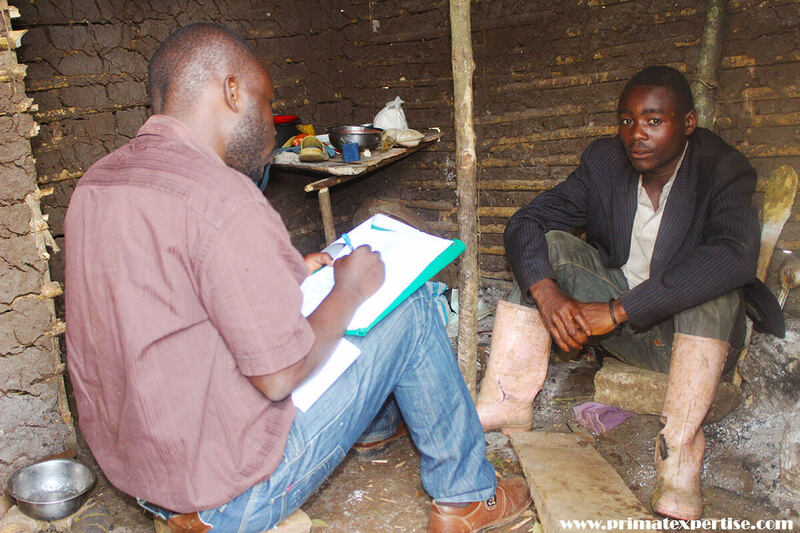 The survey identified the socio-economic and environmental parameters of Pygmy households near to KBNP; and informed about household practices that could negatively or positively affect the conservation of gorillas in their natural habitat. 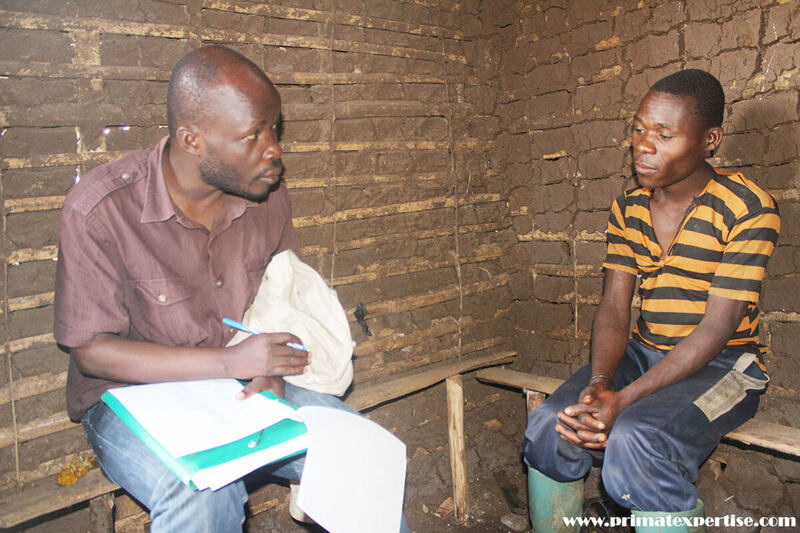 Augustin Ntaboba investigating the respondent Mr. Kavanga Kembe in front of his house from Chahoboka Pygmy Village at Katana, eastern DRC. Two types of questionnaires were used: an individual questionnaire addressed to heads of households and another intended for community focus groups. Augustin Ntaboba talking to the pygmy leaders of Bulolo-Tshibati and Chahoboka villages with the resource persons gathered in focus group in Bulolo-Tshibati.